keep your pet occupied and mentally stimulated. 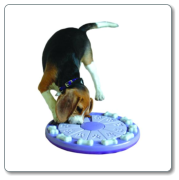 Making use of interactive toys, games and puzzles to stimulate your pet mentally is highly recommended and is extremely fun to do as well. Just like humans, dogs and cats need lots of exercise, mental stimulation and socializing to remain vibrant and balanced. Playing with your dog or cat is no different than playing with your kids or friends; it gives you a mental break, a physical work out and is a great stress reliever. Playing is a fun way to stay physically, mentally and emotionally healthy. 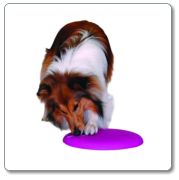 By playing stimulating metal games with your dog or cat on a continuous basis, will significantly reduce the chance of having a “problem pet”. Exercise or play is vital in helping pets expend their energy. Without that outlet they may show behavioural problems than can range from destructive tendencies to attention-seeking antics. What age can one start using these toys? 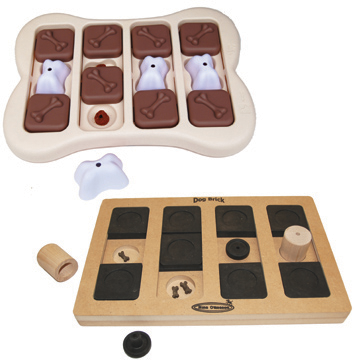 You can start using interactive and activating toys, games and puzzles with puppies from as young as 10 weeks old. It’s very important to start with simple and easy toys and only play for a short time, as they have a short attention span. When playing with your puppy or kitten, it is of utmost importance that you give lots of positive reinforcement and praise, don’t use negative words like “no”. Interactive play encourages your puppy or kitten to be curious and to playfully explore the world from when they are young. This builds self-confidence – a very important aspect in raising a well-balanced pet. Dogs and cats of all ages benefit from mental stimulation and it is not limited to puppies and kittens. Just like humans, animals also suffer from cognitive dysfunction as they age. The symptoms are similar to Alzheimer’s disease. Keeping your pet’s brain active by mentally stimulating them can slow down the process. What other advantages do these toys have except for occupying a hyperactive kitten or puppy? 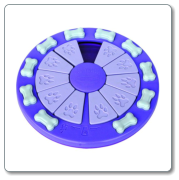 They are also great for dogs that don’t want to eat and are underweight; many dogs will eat more when food is put in games instead of their food bowl. Wild animals get natural mental stimulation when hunting for food and giving your pet the opportunity to also “hunt” for their food and treats through treat dispensing toys, games and puzzles instead of just getting their food served in a bowl will mentally activate them and give them a fun “job” to do, which in turns gives their lives meaning. 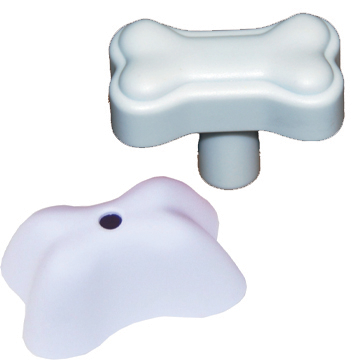 Treat dispensing toys is also beneficial for dogs and cats that eat too fast, overweight animals as well as “hyper” pets. It is a brilliant way of giving them an outlet for their energy as well as keeping them occupied with something ‘important’ to do whilst we are working. How can you aquire some of these toys: Well you simly choose what products you would like. Send us an Email , we send you an invioce, you pay, and pick up, delivery within 3 - 5 working days. Please note it is a common problem in the product industry that there is the odd chance that they may not have the product in stock. Therefor please be patient as we will do the worrying for you. 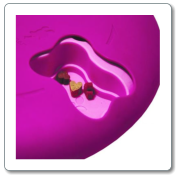 Visit Ninna Ottossen's page to see what variety of products are availible. 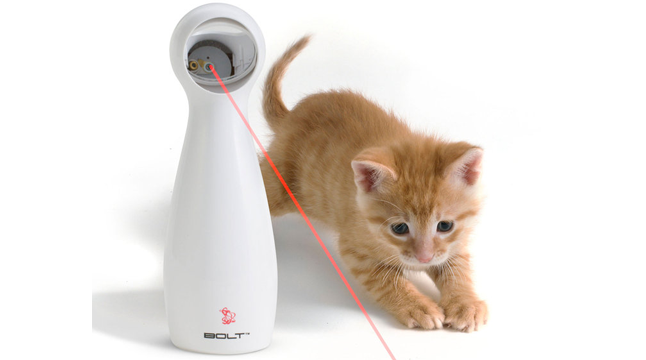 If you havent seen our section on interactive toys, how about we go and take a peek..?